SPOTLIGHT: In one of her finest turns to date, Maggie Gyllenhaal plays Lisa Spinelli, an engaged, slightly bohemian kindergarten teacher who notices an uncanny knack for poetry in Jimmy, one of her young students, in this arresting drama that took home the directing prize at this year’s Sundance Film Festival. Perfectly inhabiting ankle-length skirts, flat shoes, and oversized jewelry, Gyllenhaal taps into fathomless wells of empathy (which border on pathological obsession) as Lisa, whose attempts to nurture and capture on paper Jimmy’s rare gift are met with concern from the child’s family as well as her own. Inspired by Israeli director Nadav Lapid’s 2014 film of the same name, Sara Colangelo’s beautifully realized second feature makes some noteworthy pivots from Lapid’s, while still asking a complex question without easy answers: How do we preserve the natural talents of our generation’s Mozarts amid the spoils of our modern world? 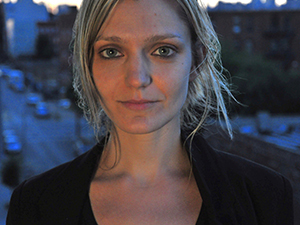 Sara Colangelo is an American writer and director who studied film at NYU's Tisch School of the Arts. Her films include the short documentary Halal Vivero (2006), the short film Un attimo di respire (2007), and the feature Little Accidents (2014). The Kindergarten Teacher (2018) is her latest film.